At ﻿Grand Rapids Tree Service﻿, we have a healthy clientele of both residential and commercial customers. We have all the equipment and resources to tackle jobs of any size. We specialize in every area of tree service, from promoting tree health to maintaining a pleasing aesthetic to removing damaged or diseased trees. Call now to have one of our friendly tree doctors give you a free estimate. We are proud to service businesses and homeowners in the 49503, 49504, 49505, 49506, 49507, 49509, 49519, 49525, 49534, 49544 49546 and 49321 zip codes. If your location is not included, call anyways and see if we can't help you out. Our tree doctors and tree surgeons are highly experienced and well trained to deal with threats of any variety. We know how to keep microbial infections in check and prevent them from spreading. We have procedures to deal with insects such as ticks. Even larger pests that can weaken or damage trees like deer are something we are prepared to handle. We have served many local business of Grand Rapids and will continue to do great commercial tree care. Our business provides a full variety of services that will maintain the health and beauty of your trees. There are no jobs too small. Our pruning, tree trimming and tree cutting services can also be used to eliminate inconveniences and potential hazards such as obstructed driveways, footpaths or roads. After damaging weather occurances such as storms and tornadoes, we are happy to adjust our schedules to accommodate those facing a tree emergency in the Grand Rapids, MI area. Emergency tree removals, branch removals and cleanups are no problem for us. Call today to have one of our licensed tree doctors perform an emergency prevention assessment on your property. A simple tree trimming, tree cutting or pruning might end up saving you thousands of dollars! We always give free estimates with no obligation to buy. We are very quick to respond to residential emergency tree service calls. Cabling and bracing is a method for providing an additional structure to trees that helps keep them from weakening during storms by restricting movement. This procedure can add years of life to a tree while reducing the potential hazards of a weak branch or diseased tree. See our Cabling & Bracing page here on the website for more information. Our experienced and knowledgeable arborists do hundreds of tree removals a year. 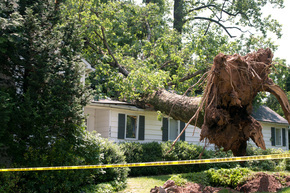 We have the professional expertise to remove any tree in the minimum amount of time that safety and quality will allow. Call one of our helpful representatives now for a free estimate on any tree removal required. Pricing is based on many factors, including the height of the tree and any hazards or potential hazards in the vicinity of the tree. Grand Rapids Tree Service also tackles any stump removal job. We have the training, equipment and resources to do any sort of stump removal or stump grinding necessary. Give one of our licensed representatives a call and they will give you a free estimate helping to find the most affordable and effective option for you as a customer.